A Clinical Dental Technician or CDT is a registered Dental Care Professional who is trained and qualified to provide a range of denture services directly to patients – services that were previously only available through your Dentist. Clinical Dental technicians provide a full range of solutions for patients missing some or all teeth, including cosmetic full and partial dentures, palate free, implant retained and flexi dentures, denture repairs and relines. It is the priority of every Clinical Dental Technician to deliver the highest standards of care, putting the interests of their patients first. 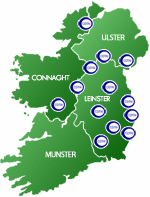 All our members are qualified and registered with Dental Council of Ireland and some are registered with the General Dental Council (UK).